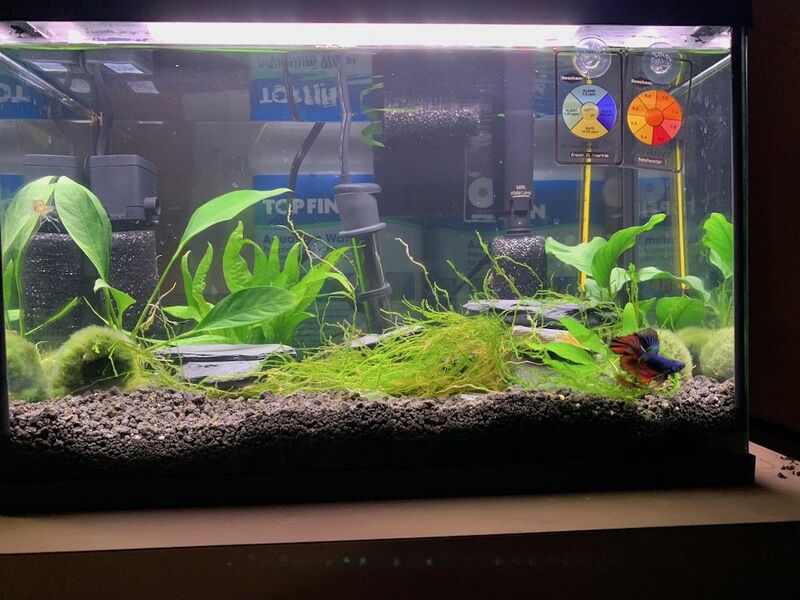 Started my first planted nano betta tank back on February 20, wanted to start my tank journal. I picked up a Topfin Essentials 5.5g tank from Petsmart. It came with a TopFin 10g HOB, and led hood. 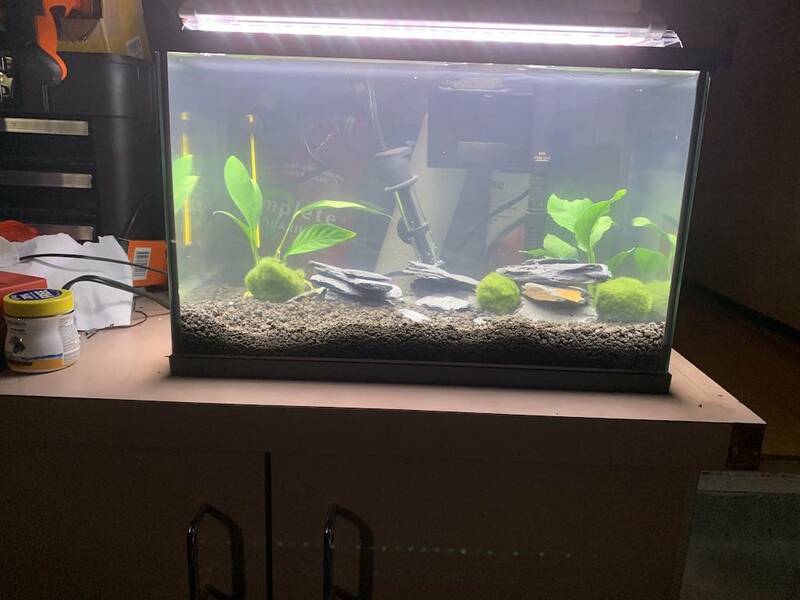 Since I was new to the forum so I have been trying to cycle my tank for the last few weeks. 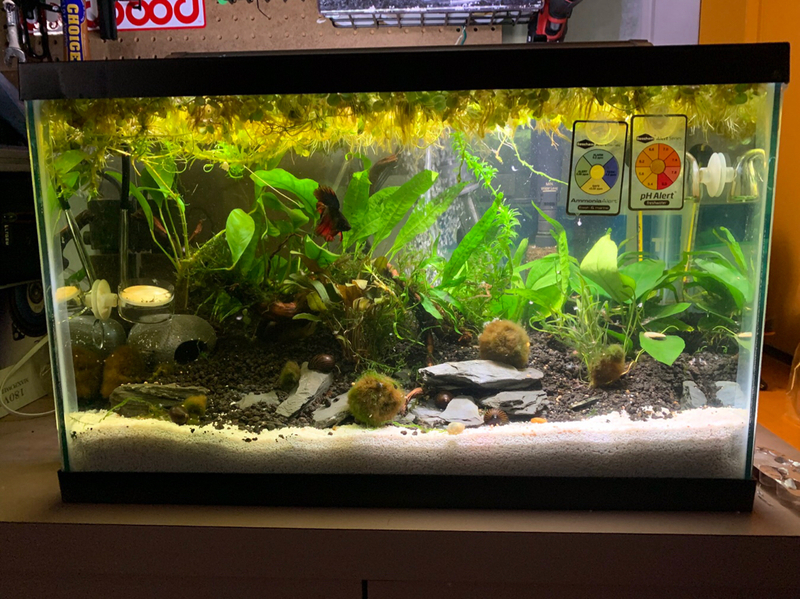 My plants were some Anubias Nana and Anubias Frazeri and some Marimo Moss balls. Bump: Figured that my plants would fare better if I added Co2. Decided to add a Paintball Co2 setup using a Aquatek Mini Regulator with a 20oz tank and glass diffuser. Also decided my rhizome plants would fare better not being in the substrate, decided to get some spiderwood driftwood to attach them to. Decided my Betta needed more tank mates and since my tank is heavily planted I could overstock with heavier bioload. 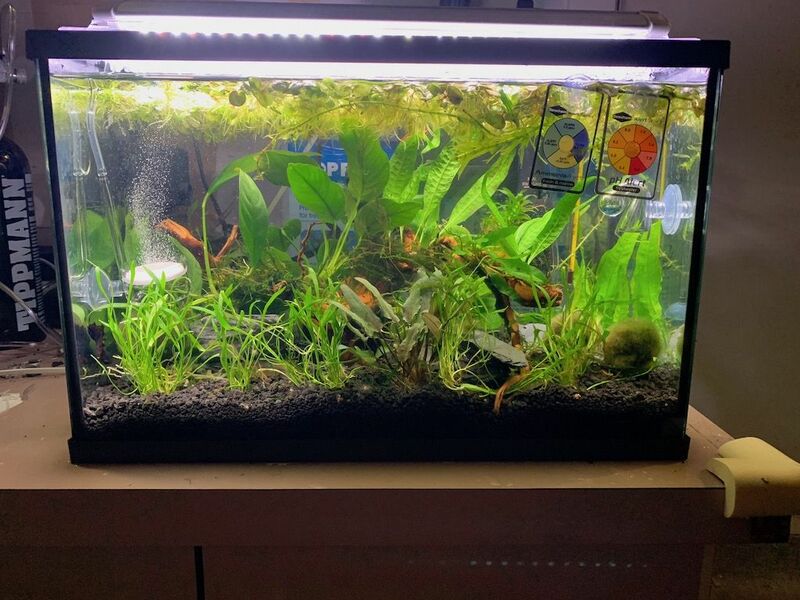 Given that my tank is heavily planted for a 5.5gallon, is it normal to have 0 nitrates? 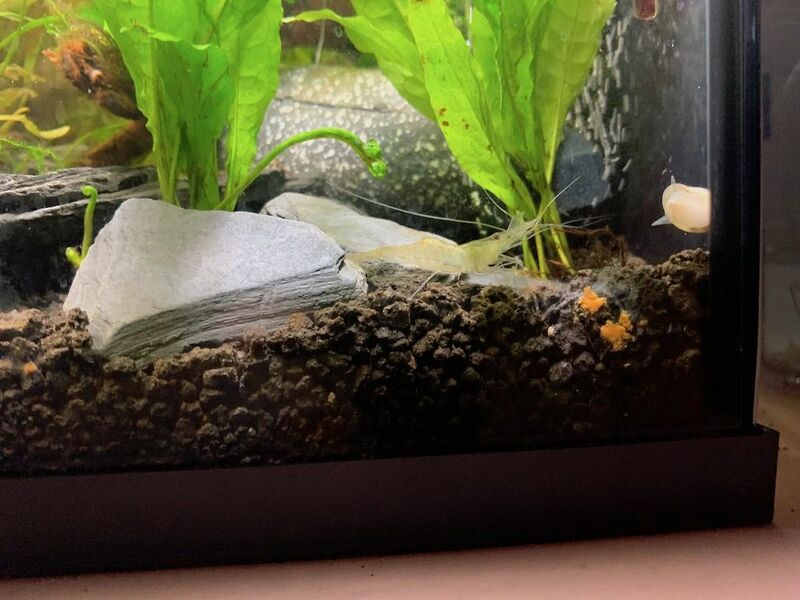 I am fairly overstocked with a betta, 8 pygmy corys, 1 nerite and unknown number of ghost shrimp (last only saw 1) but had about 8 ghost shrimp. My betta has been keeping his tankmates stock in check by turning them into snacks. I have been feeding them betta pellets and frozen brine shrimp and shrimp wafers but can't seem to get my nitrates to increase. 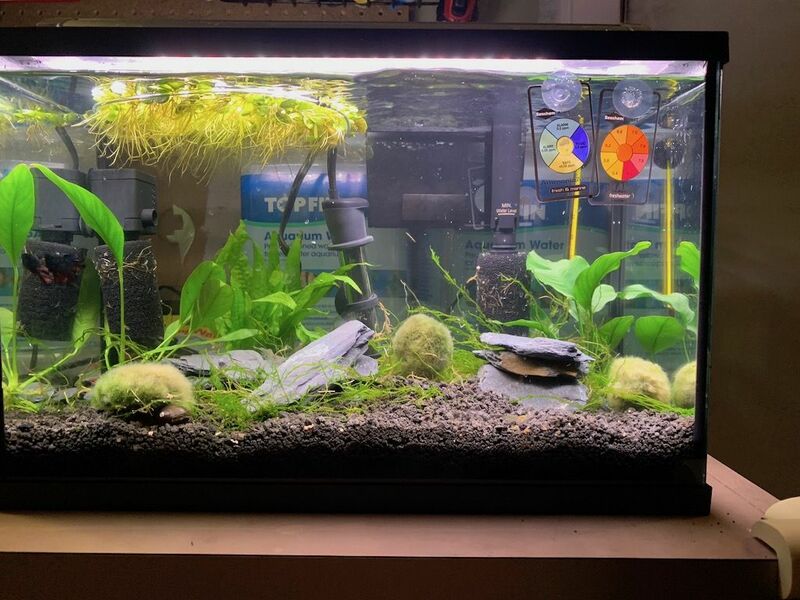 Haven't done any water changes in a week. Should i get rid of some salvina minima since I believe they are absorbing all the nitrates. 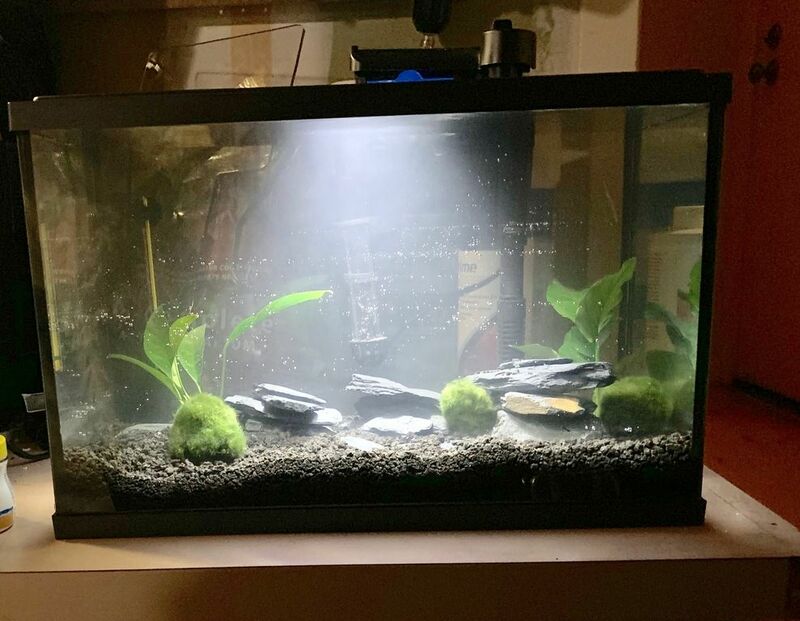 Has your tank already cycled? What are your ammonia and nitrite readings? 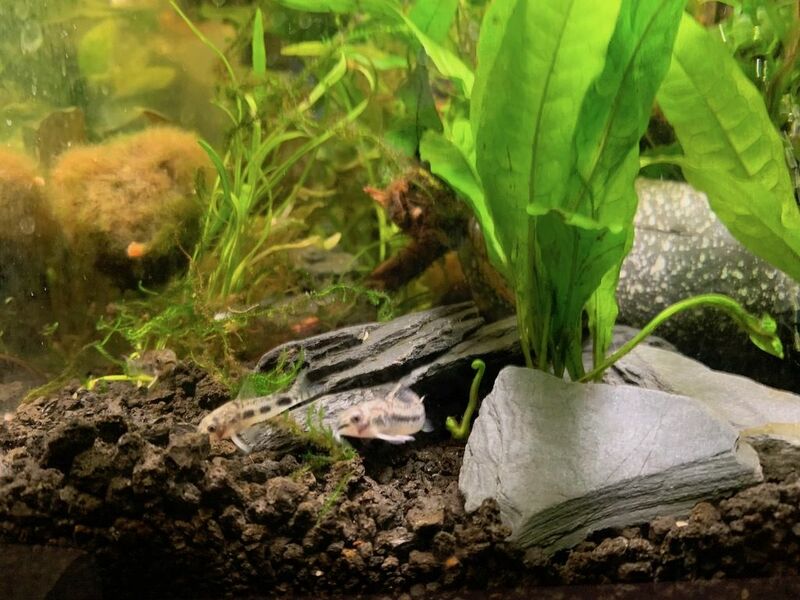 I've seen this happen in tanks with low bio-load that are heavily planted, but you have a really high bioload (I'd even consider moving the cory school since they tend to do better in larger tanks). Generally low nitrates aren't a huge deal if you are dosing with ferts that have some nitrogen source in them. I believe my tank has cycled. my readings have been 0 ammonia, 0 nitrites, 0 nitrates with a PH of 7.6 using the API master test kit. I've been dosing Thrive once a week. Given that I should have a high bioload I don't seem to see any spikes in ammonia or nitrates. But my salvinia minima have been growing quickly even though i've been thinning them to half at the end of the week. 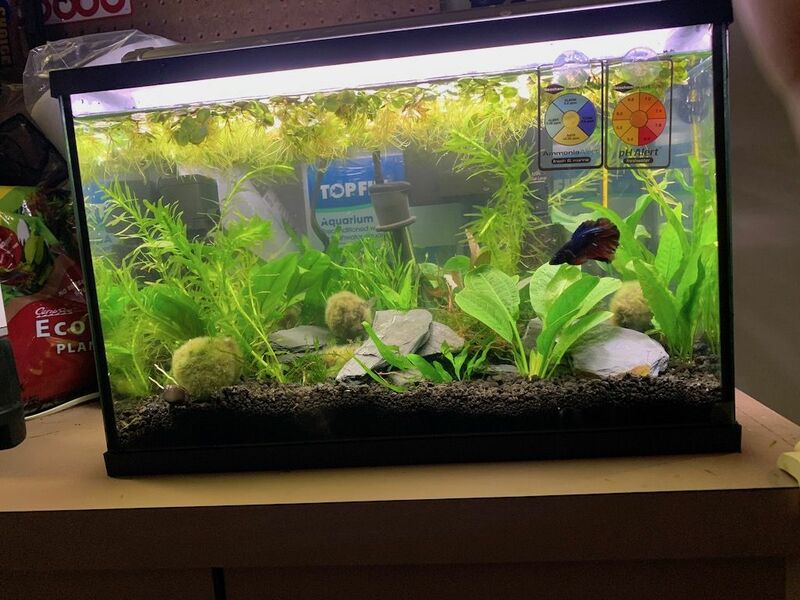 I am planning to upgrade to a 10gallon which should be better for my fish. 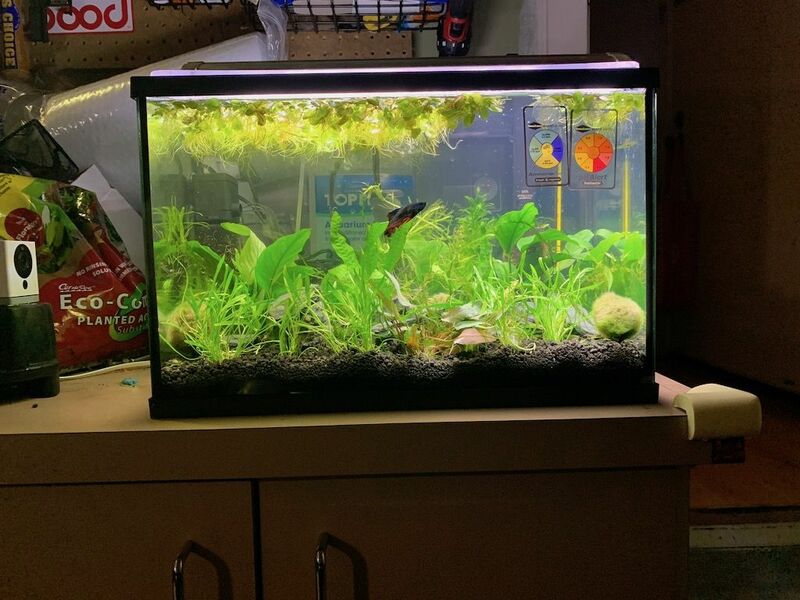 Upgraded my tank to 10gallon aqueon from petco. Rescaped with aquarium sand and moved all biomedia from the 5.5 gallon. Need to upgrade lighting. Thelongsnail, Cinnamonamon and Snapdragon like this. 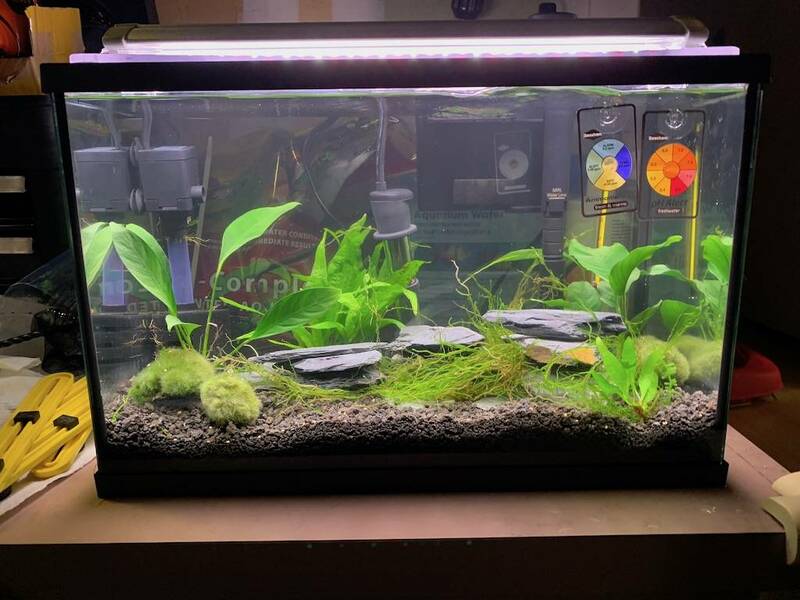 I am a newcomer to Nano Betta Tank, thank you for sharing. 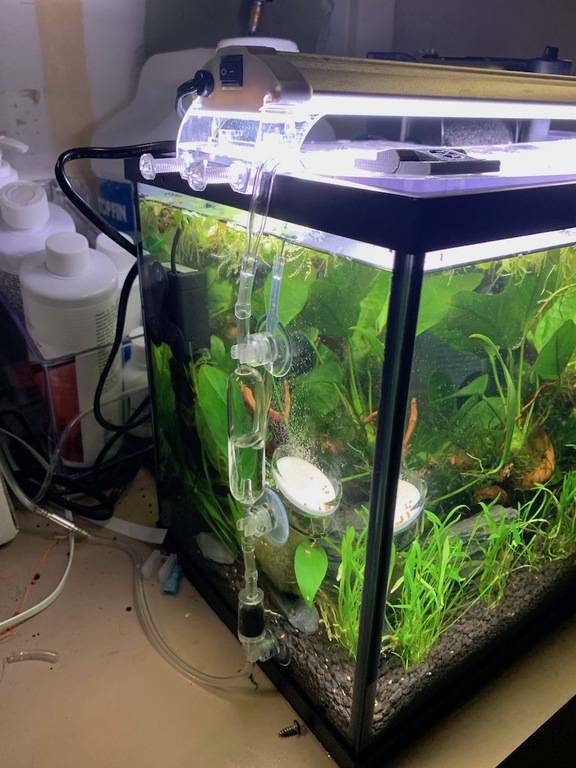 I just invested in a desktop aquarium after reading a lot of articles about betta care. 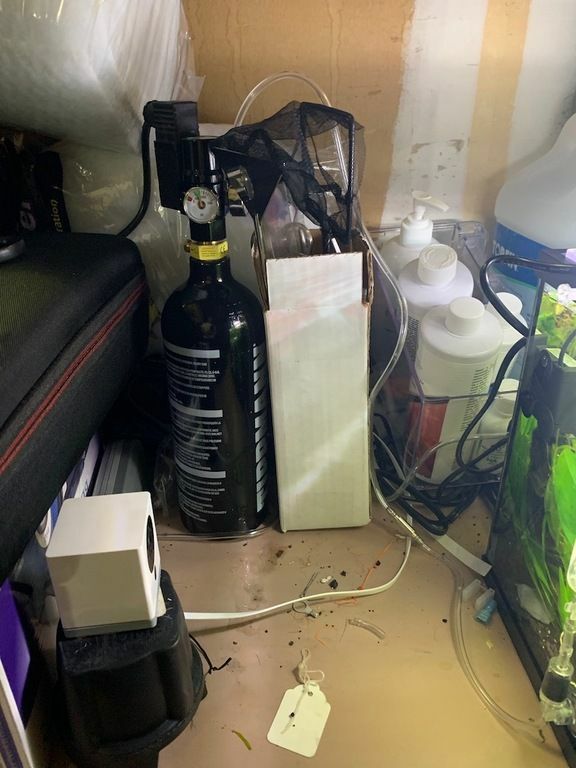 This aquarium is very popular among Betta fish owners. I bought a heater and a thermometer so I can make sure the water is warm enough for my Betta fish. (The ideal temperature is 75-81 degrees Fahrenheit). The only problem I use with this kit is the filter. It blows my male Betta in every direction. It frustrated my Betta fish and I was worried that he would be hurt by the intake. If you have Betta fish (especially male Betta, usually not very strong swimmers), you definitely need a pre-filtered sponge. The pre-filter sponge is installed on the outside of the water inlet. I have prefilter sponges on my HOB filter and water pump, which have reduced my water flow. I tried putting a DIY sponge filter at the outlet but it eventually falls off show I just removed it completely. Since I added floating plants my male betta likes to hangout in the roots, or he seems to hang out near the bottom with the corys.